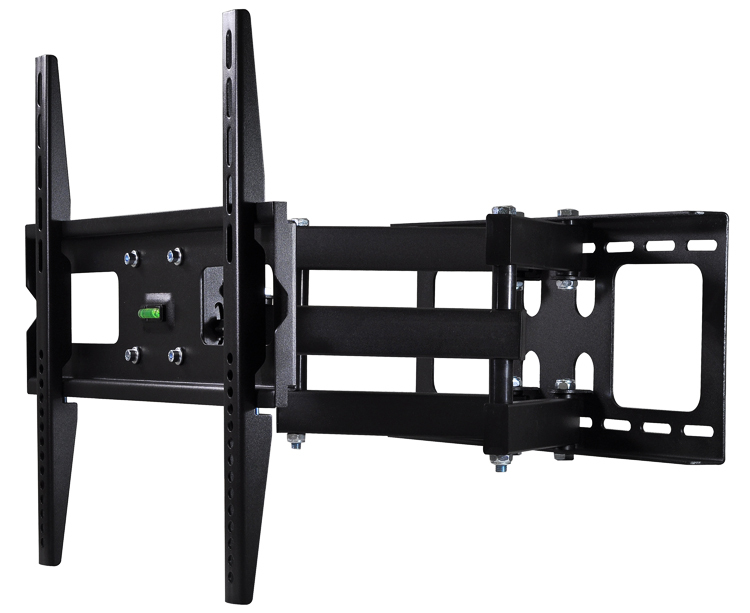 Built with the highest quality materials and thoroughly load tested, the TSM-444 is one of our most popular mounts for high definition TV in the 32”- 55” range. 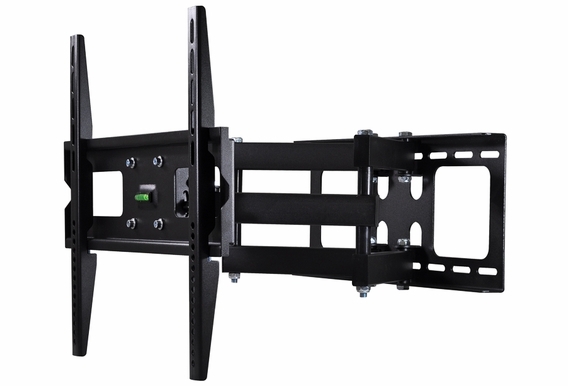 This is a great mount for family rooms, and with a pan and swivel capability of 120 degrees, everyone will have excellent viewing angles. 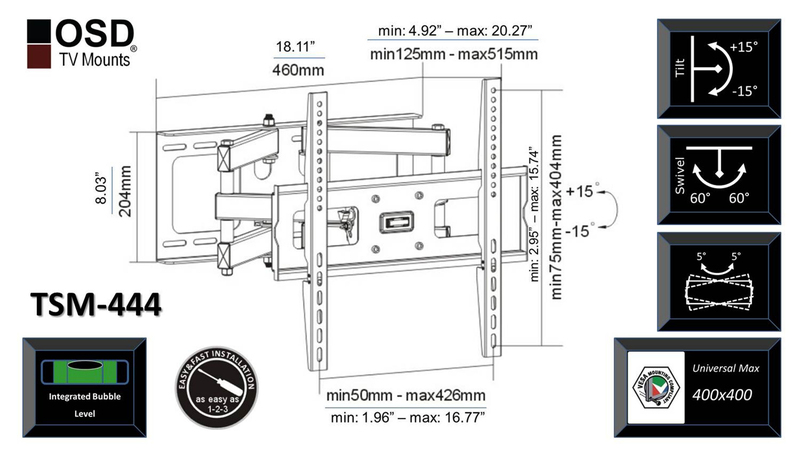 The four arm design makes this an extremely sturdy unit and the built-in bubble helps ensure that your installation is dead-on straight. Can this be mounted outside under a patio? 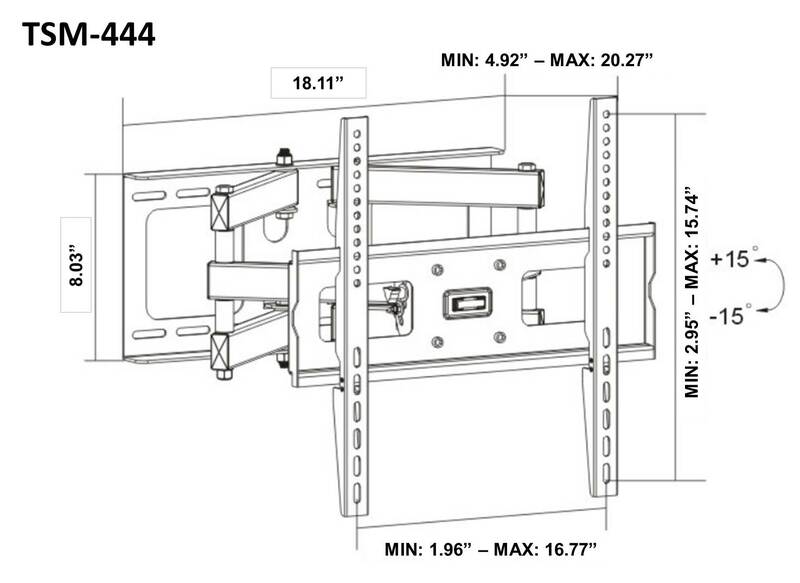 Would this work with a 46" SunBrite Outdoor TV? 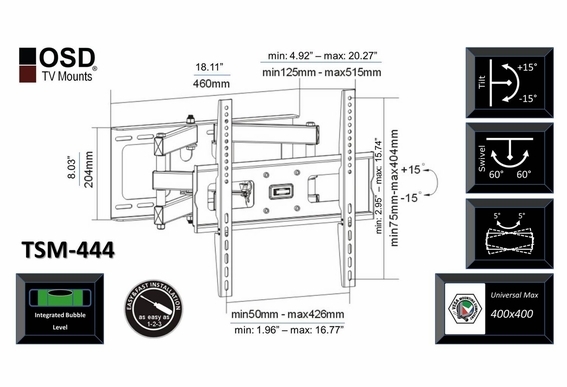 I have just bough an Emerson 40" LCD HDTV. 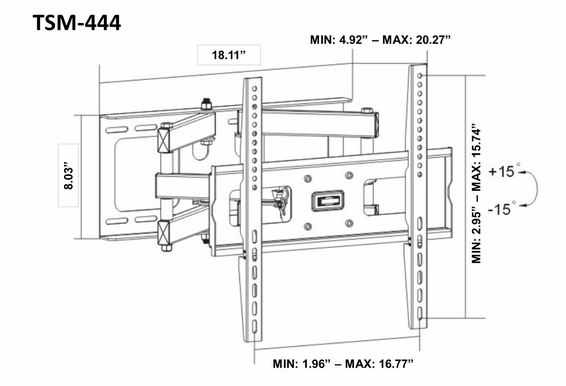 Is this wall mount the one that is for this TV? It is not plasma, is that important?